Kennedy Hill wasn’t sure what to expect when she signed up, at her superintendent’s prompting, for the inaugural African American Female Initiative on Concordia University Wisconsin’s campus. 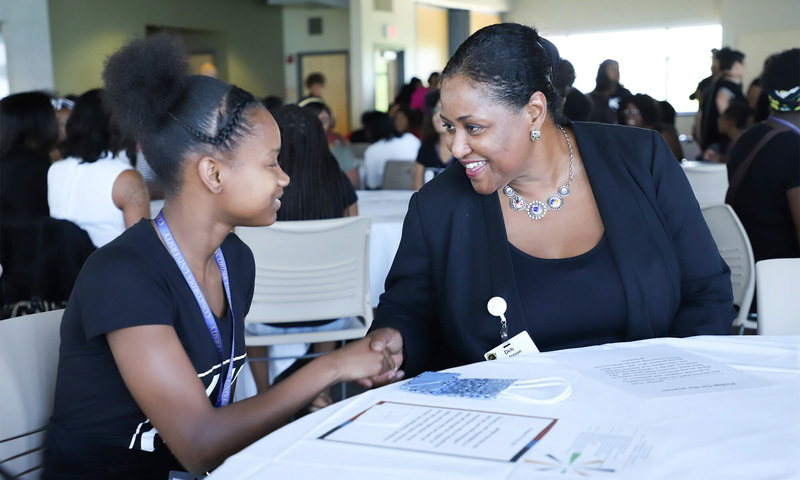 The rising high school freshman knew the experience was meant to help African American girls like herself succeed in high school and eventually attend college, but she wasn’t totally clear on the details of how that would be accomplished. Nevertheless, she committed to the experience, and in the end, she says she’s glad she did. 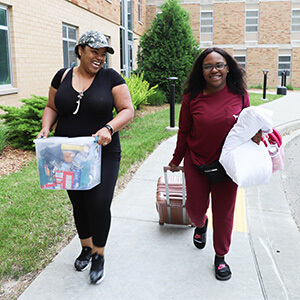 Beginning June 26, 55 girls from more than two dozen schools in the Greater Milwaukee area arrived on Concordia’s campus to stay overnight in residence halls and to engage in goal-setting, teambuilding, and college and career readiness exercises. They heard from speakers on topics such as financial literacy, and they participated in a variety of activities and outings designed to help them grow as individuals and form friendships with peers and mentors in their demographic. The AAFI is an effort of the Concordia-led Closing the Achievement Gap Consortium. Recognizing that Wisconsin schools face the largest statistical gap between white and diverse students’ academic achievement, a group of educators formed in 2012 the Closing the Achievement Gap Consortium to “embrace and change, with all deliberate speed, school practices, instructional methodology and school structures that perpetuate achievement and/or opportunity gaps in Wisconsin schools.” Concordia is the consortium’s sole higher education partner. The director of Concordia’s Educational Administration program, Dr. Elliott Moeser, serves as executive director for the CAGC. AAFI is just one of the efforts the consortium undertakes throughout the year to tackle the issue. The AAFI is modeled off of the CAGC-led African American Male Initiative, which will hold its fourth successful Summer Institute on Concordia’s campus later this month. On Friday, as the culmination of the AAFI, Committee Chair Dr. Monica Kelsey-Brown and the other committee members invited African American female business women from the community to meet, greet, and network with the young participants. More than 100 women showed up for the event. Learn more about the efforts of the Closing the Achievement Gap Consortium at www.cagcwi.org.